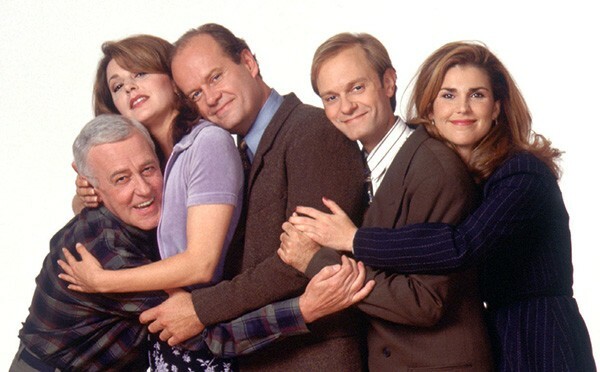 The cast of Frasier celebrate Netflix fixing episode 12 of the show’s 11th season. Pinegrove, Cardinal New Jersey band Pinegrove speak punk with country vocal cords. Their new album, Cardinal, makes sense of those two musical languages—which don't intersect nearly as often as they should—and does so with a clarity I haven't heard since I stumbled upon Lucero's earliest albums. I got my advance of Cardinal two weeks ago, and not a day has gone by that I haven't listened to it at least once—it ends too early, and I want to hold on to the feeling of "Cadmium" and "Size of the Moon" long after they end. 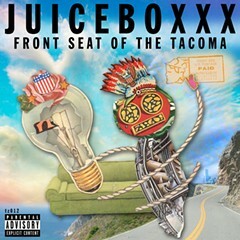 Juiceboxxx's Boxxx Report On Fridays underground rapper Juiceboxxx e-mails his subscribers a mini mix that demonstrates his reservoir of music knowledge and impeccable taste. I always discover something new in the Boxxx Report—most recently the spazzy "No Limits," from an odds-and-sods compilation by bizarre Scottish punk band Country Teasers. "Tossed Salad and Scrambled Eggs" More than 100 days ago my friend Buck LePard started complaining to Netflix about a show on its streaming service: Frasier. The 12th episode of its 11th season ended midscene, truncated by 30 seconds—it awkwardly lurched into the closing credits, which feature Kelsey Grammer singing the show's theme song, "Tossed Salad and Scrambled Eggs." In late January, I joined in LePard's fight to #FixFrasier (at least on Twitter), and frequently rewatched the episode in question. But I always heard Grammer's jazzy singing too early—until last week, when Netflix corrected the issue. Congrats, Buck, you #FixedFrasier. Trust, TRST The math has been done and the results are in: I have spent approximately 270 hours of quality time with this album, and there are no signs of stopping. 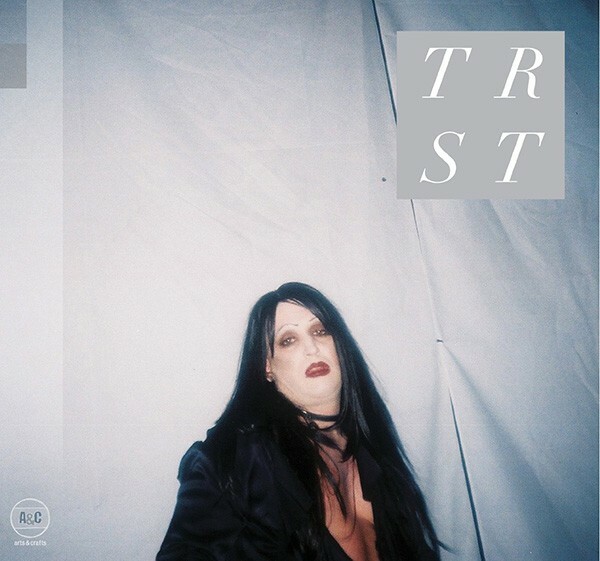 Yes, it's true, I love to dance, but there lingers within Trust's 2012 debut LP something particularly dark, dirty, and dangerous that drives my entire body loco! At the time this Toronto based cold-synth duo was the project of Robert Alfons and Austra's Maya Postepski, and somehow each song on TRST stands out in its own perfect personal spotlight. Maybe it's the foggy, warbling vocal performance from Alfons that keeps my ears piqued, or perhaps it's the grimy, muffled kick drum paired with a hauntingly piercing synth arpeggiator that keeps me dancing. The fusion of both keeps me alive. Feels like: Black latex hoods and sticky basement linoleum. Tunnels, "Magic Flowers" Since this track is only two minutes and 20 seconds long, naturally I keep it on repeat for 20 minutes or so until I've gotten my fix. Quite minimal in its European postpunk composition, "Magic Flowers" evokes a feeling of impending doom as Nicholas Bindeman (aka Tunnels) lazily croons over droning synth hisses and thumping bass lines. The rest of his 2011 album, The Blackout, is just as deadly. Feels like: Biting the inside of your lip. Sally Shapiro, "He Keeps Me Alive" My friend Jack played this song in the car on a road trip and I cried. Later, both clad in sequined disco apparel, we requested it during "adult night" at a roller rink in Texas. No tears this time—just glam, wheels, and champagne. Justina is curious what's in the rotation of . 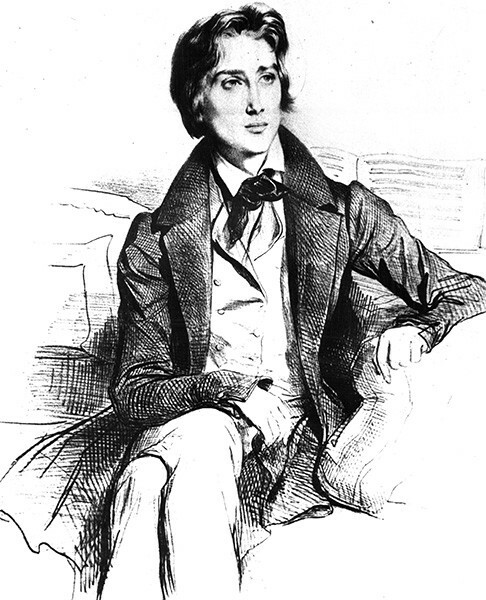 . .
Franz Liszt, Hungarian Rhapsody no. 2 Recently, I bought a Franz Liszt "best of" CD at a Goodwill store, along with a Blu-Ray version of Predator. The beginning sounds like this military procession of giant lizards in the desert. Huge, ominous tones eventually segue into lighter notes, and then near the end of the song it turns into a Tom and Jerry episode and everyone is running around screaming and laughing. Not only is Franz Liszt one of the most famous piano players who ever lived, but he also accidentally invented cartoons? Gioachino Rossini, The Barber of Seville overture I'm not intentionally going out of my way to buy cartoon music. I bought this Rossini record at an estate sale just out of curiosity. I'm not sure how I'm supposed to listen to this piece and think of anything but cartoons. What else can I think of? If you don't already know the song, it's basically the musical equivalent of being in the kitchen at an upscale Italian restaurant on opening night, but the place is run entirely by rodents. The Children, "Freedom" Though it's a 1987 release on DJ International, "Freedom" still sounds fresh, funky, and urgent, with its minimal acid-house beat, perfect house drum programming, and a tiny little bit of acid bass. I love this song for Jamie Christopher's sorta-­talking rap asking us to remember that life is all about freedom—and that this means for everybody. It's an earnest song with a common message, but it balances out futuristic minimalism with a very human, soulful dialogue. 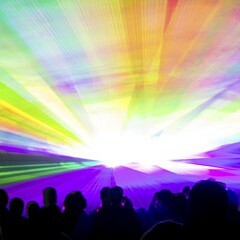 In these excerpts from his lively and meticulous new book, The Underground Is Massive: How Electronic Dance Music Conquered America, longtime Reader contributor Michaelangelo Matos chronicles the three-decade ascent of EDM. These Parts: DJ Juiceboxxx takes his show on the road. Right after he graduates from high school.